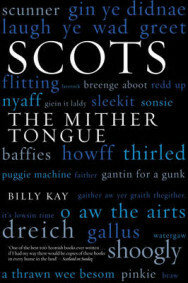 Scots: The Mither Tongue is a classic of contemporary Scottish culture and essential reading for those who care about their country’s identity in the twenty-first century. It is a passionately written history of how the Scots have come to speak the way they do and has acted as a catalyst for radical changes in attitude towards the language. In this completely revised edition, Kay vigorously renews the social, cultural and political debate on Scotland’s linguistic future, and argues convincingly for the necessity to retain and extend Scots if the nation is to hold on to its intrinsic values. Kay places Scots in an international context, comparing and contrasting it with other lesser-used European languages, while at home questioning the Scottish Executive’s desire to pay anything more than lip service to this crucial part of our national identity. Language is central to people’s existence, and this vivid account celebrates the survival of Scots in its various dialects, its literature and song. The mither tongue is a national treasure that thrives in many parts of the country and underpins the speech of everyone who calls themselves a Scot. Billy Kay was born in Galston, Ayrshire, in 1951 and was educated at Kilmarnock Academy and Edinburgh University. Much of his work has been devoted to creating an awareness of Scottish culture. 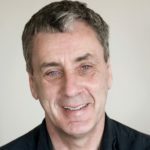 A writer and presenter for both radio and television, he is also the co-author of Knee Deep in Claret: A Celebration of Wine and Scotland, while his new book The Scottish World details the remarkable contribution the Scots have made to the modern world. He lives in Fife.